Part Used & Method for Pharmaceutical Preparations: The cockroach is caught in summer, killed by boiling in water and then dried in the sun. 1. Amenorrhea or postpartum abdominal pain due to blood stagnation. Cockroach (Chechong) is used with Rhubarb (Dahuang) and Peach seed (Taoren) in the formula Xia Yuxue Tang. 2. Abdominal or epigastric masses. 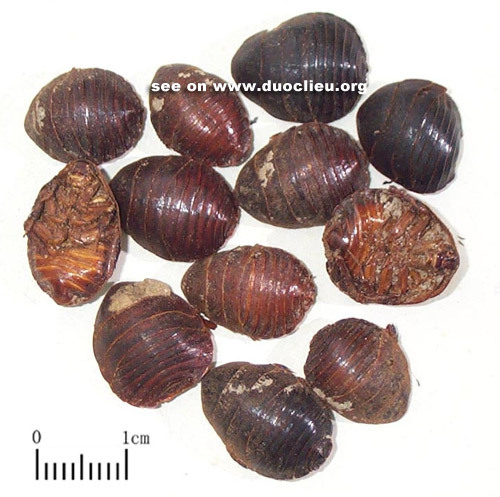 Cockroach (Chechong) is used with Turtle shell (Biejia), Rhubarb (Dahuang), Moutan bark (Mudanpi) and Peach seed (Taoren) in the formula Biejia Jian Wan. 3. Pains caused by external injuries or lumbar pain due to sprain. Cockroach (Chechong) is used with Peach seed (Taoren), Frankincense (Ruxiang) and Myrrh (Moyao). Cockroach (Chechong) may also be taken alone. Dosage: 3-10 g; 1-1.5 g for powder. Cautions & Contraindications: This substance is contraindicated during pregnancy.